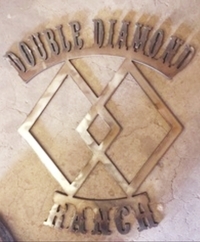 DOUBLE DIAMOND RANCH is a farm located in Amarillo, Texas owned by VALARIE SMITH. 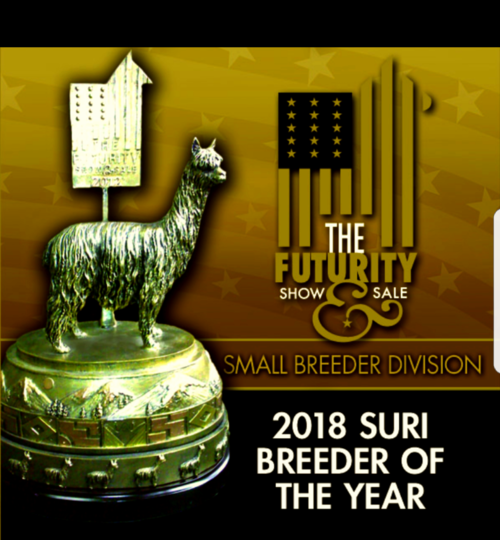 GOLDSTAR continues His Legacy of AMAZING Cria!! 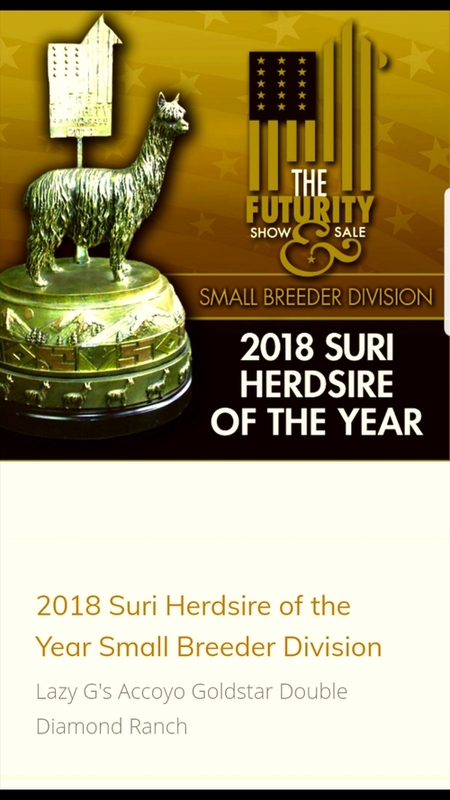 OUTSTANDING Juvie's will hit the Shows, Spring of 2019! GoldStar Yearlings will be offered at Both Amber Autumn Auction in February as well as the Most Prestigious FUTURITY Auction in April!! 2017 FUTURITY Get Of Sire CHAMPION "GOLDSTAR" !!! DOUBLE DIAMOND RANCH sits on 356 amazing acres of great grasslands for the alpacas and our own private canyons for the horses, donkey's & llamas. We are located just outside of Amarillo, Texas. Winters are relatively mild and summers can be pretty warm, but we almost always have that fine West Texas breeze and low humidity so the alpacas do well. 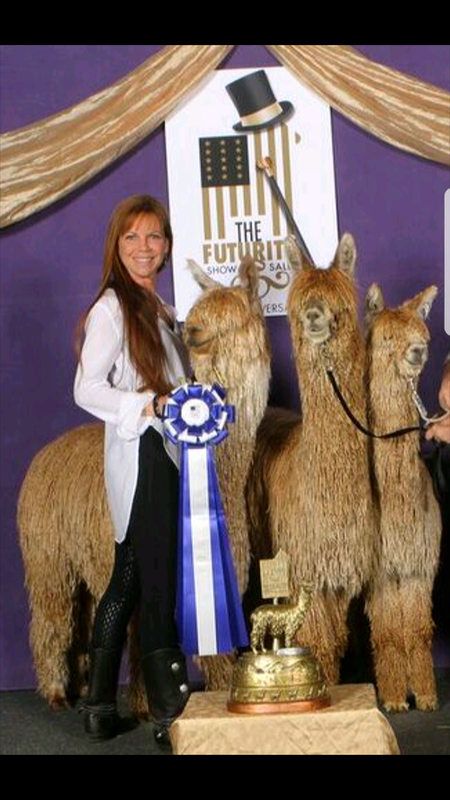 Alpacas found my heart 12 years ago, Love them even more today! 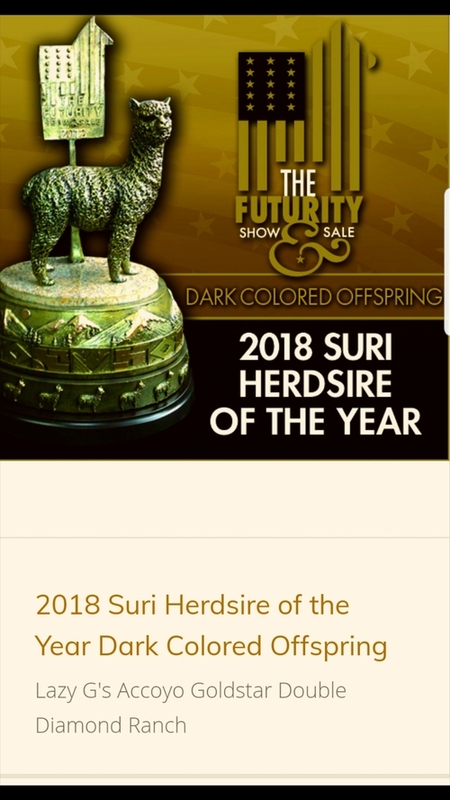 We have done well in the show ring with many National & Futurity First's & Color Champions in our herd. Take a look around...I welcome any questions and love talking Alpacas!! !